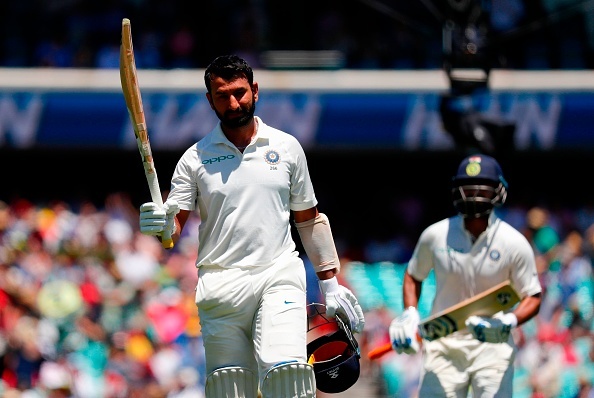 Pujara played a key role in India’s first-ever Test series victory on Australian soil, scoring 521 runs at an average of 74.72. India batsman Cheteshwar Pujara rated his team's historic Test series victory on Australia soil as the proudest moment of his career but he still feels winning the Border-Gavaskar in 2017 at home was the toughest series he has been part of. In an exclusive interview with CricketNext, Pujara said: "Playing in Australia is always challenging and beating them in Australia is a tough job. So yeah, this probably is the best series for me personally but when it comes to the toughest series, I still feel that playing Australia in India in 2017-18, when we were 1-0 down and still winning that series was the toughest series I have been a part of." Pujara played an instrumental role in India’s maiden Test series triumph Down Under by scoring 521 runs at an average of 74.72. He notched up hundreds in Adelaide, Melbourne and Sydney to script twin victories for the visitors in the series. While India’s eminent No.3 scored 123 in the Test series opener, he struck 106 and 193 in the third and fourth Test respectively. Pujara, who faced a record 1258 deliveries in the four-match Test series down under, also credited team's good preparation for the success on Australian shores. "I can't say a lot about what kind of drills I've done but there was a specific preparation that I did before going to Australia and that has helped me a lot," the Saurashtra batsman asserted. "Apart from that, I think it also is a mental game. Psychologically or mentally if you are prepared, if you believe in yourself that you can do it; because whatever preparations I did before the tour it helped — we were in trouble in the first innings in Australia, in the sense we lost about 4 wickets and didn't know where to go. So, I just kept believing in myself, I told myself that if we can reach somewhere close to 200-250 then it'll be a very decent total on that pitch and ultimately it happened," he added. Talking about his approach in the longest form of the game, Pujara said: "I think, one thing I do believe in is my ability, I do read the situations well, so when it’s the right time I start accelerating but before that, you just have to respect the situation, you just have to respect the opposition. "If they are bowling a good spell, if they are bowling in partnership then you just have to read those moments and bat accordingly. It's not about how I want to bat as an individual, it's about what the team demands, what the situation demands and that is how I am mentally strong." He picked the Adelaide Test ton as his favourite amongst the three he scored on the tour. "The reason is it was the first Test match and when you are playing a four Test match series, I think it is always important to start off well. When you are 1-0 up, it is very difficult to lose a series from there." Pujara went unsold during the IPL 2019 auction last month despite keeping his base price at 50 lakh. 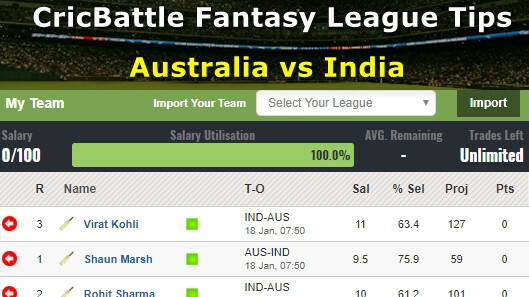 However, the snub by IPL franchises does not bother him too much. "Well when you are not picked at times you do get disappointed but I move on. I think I am someone who doesn't run behind things. If it doesn't come, it doesn't come. I will still keep working on my game and there are still platforms where I need to play. And during the IPL I go and play some county cricket which helps me immensely in my Test career," he concluded.